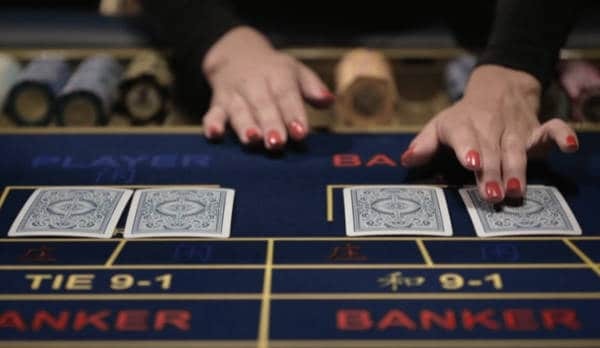 Life as a Casino Croupier - All fun or just hard work? Have you ever wondered what it’s really like to be a Casino Croupier in a real casino? Well, I caught up with Dean, who’s been a Croupier at some very well known UK based casinos. He’s given me the run down on what it’s like to work behind the tables. Casino Croupiers are the backbone of any land-based casino. 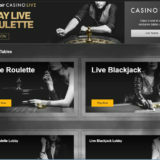 They help facilitate the service that casinos are popular for – the games! From expertly dealing cards, to dealing with customer questions, being a casino dealer is a varied and fast-paced job. The lifestyle isn’t for everyone, those who rise to the challenge tend to thrive and have rewarding and enjoyable careers. If you’re interested in working in a casino, the first obvious step is to find local trainee croupier/dealer job opportunities. You can do this by checking job websites or directly contacting local casinos and asking whether they have any vacancies. 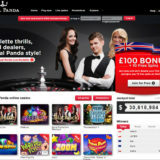 Most casinos list their current opportunities on their website, so that’s a really good place to start. It goes without saying that you must be 18 or over to apply. It’s unlikely you’ll be accepted if you have previous criminal convictions, so bear this in mind. If you’re offered a job position, you’ll then need to obtain a license from the Gambling Commission. This is a legal requirement and is needed before you can work as a fully fledged croupier. To qualify you’ll need to complete a croupier training course. This involves learning the etiquette and rules of each game, like Roulette and Blackjack. 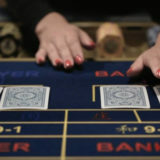 You’ll also be taught how to handle playing chips, shuffle cards and spin the Roulette wheel. Collecting bets and paying winners correctly requires quick thinking and an aptitude for mental arithmetic. The training is intense, but fun. Provided you work hard and practice you’ll learn all the skills needed to become a croupier. Usually, the training courses are provided by the casino, but if the casino is small they may use an outside company. Either way the training is paid for and your employer will apply for your licence on completion. Once you’ve been working for a while and built up your skills and a good reputation, there’s no reason why you can’t progress up the career ladder. With around 2 years’ experience you can apply for higher-level positions, such as pitboss and then onto a managerial position. 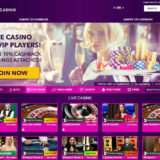 Alternatively and assuming that you can deal at least three different games, you can apply for casino jobs around the world and on cruise ships. This offers a tremendous travel opportunity, allows you to experience life in different parts of the world whilst working in a job you enjoy. Some large chain casinos have ties with oversees casinos. So it’s worth asking about potential chances to work abroad later down the line. Now, if you’re like most dealers, you’ll dream of working the tables in Las Vegas. It’s certainly possible with hard work and a good reference from your current employer. That 5 figure tip is just round the corner! There are a few important things to remember when dealing games and facing customers. The first, and one of the casino’s most feared happenings, is customer-cheating. While casino security is extremely good, cheaters still exist, and as a dealer, it’s your job to know what to look for, and report it when necessary. Many cheaters will lure you into a false sense of security by being extremely nice, friendly, and ‘genuine’. But this is just a ploy to gain your trust. If you suspect a player of cheating, no matter how ‘silly’ you think your suspicions may be, REPORT IT. If you don’t, you risk losing your job, and could end up losing the casino a substantial amount of money. You’ll be shown in your training what to look for, and how to catch a cheat. It’s also important to remember to show compassion if you see players losing. While it’s all fun and games hitting the Blackjack tables with your friends, you will inevitably encounter serious punters who gamble a lot. Occasionally you’ll be faced with players losing a LOT of money. Ensure you don’t make snide remarks or mock a player for losing. This will likely result in them making a complaint. It’s also important to point out that if you feel someone is out of control, you are legally required to take action. Usually telling the pit boss or manager will be sufficient, so don’t neglect this point. Player safety must always be at the forefront of your mind. The casino croupier lifestyle isn’t for everyone. It takes a certain personality and various attributes to be successful. Having good mental arithmetic is essential as you’ll need to quickly calculate customer pay-outs. Having and outgoing personality and superb people skills is also important. A casino is a very sociable environment, therefore the ability to socialise and have fun, whilst still doing your job is vital. Croupiers can end up working long hours. There there are generally two shift patterns: 2 pm to 10 pm and 10 pm to 6 am. This varies from casino to casino, but be aware that you’ll be required to work very late. You must maintain a well-groomed, smart appearance at all times and be willing to work weekends and bank holidays. Provided you can adapt to these conditions, including the somewhat antisocial hours, a job as a croupier may well be for you.